Well it’s been a while but after much ado going on behind the scenes we’re back blogging, with many posts lined up, so keep your eye out. 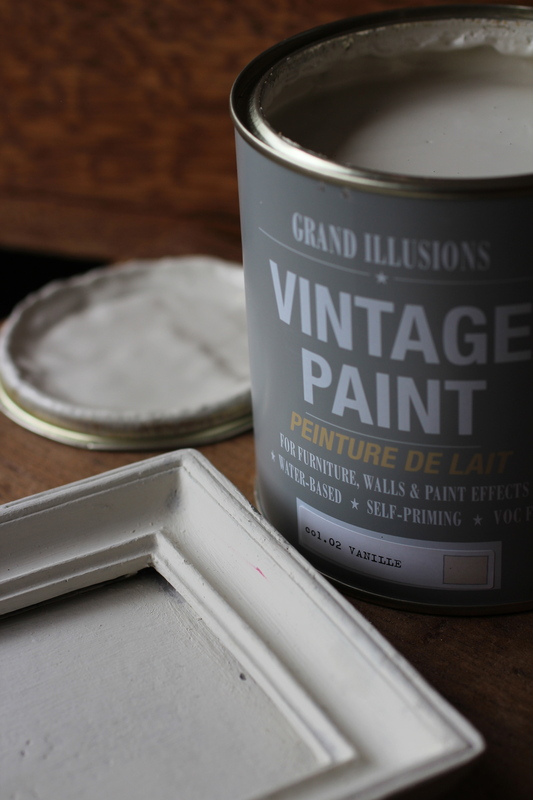 If you can’t keep an eye out, watch this space….. Grand Illusions Vintage Paint. For those local to us, you will be familiar with the Grand Illusions shop that was in St Margarets for nearly 20 years, a few miles down the road from us. For those who don’t know, Grand Illusions Founders, Nick and David were early pioneers of the French Painted Furniture style we are all so familiar with now. They introduced their own paint range back in the mid 90s, to compliment their increasing range of French Style Furniture. They also ran very successful furniture painting courses from their little shop in SW London. Excitingly for us – and hopefully you – they have now relaunched their paint… Grand Illusions ‘VINTAGE PAINT’ is a unique, flat and chalky matt paint, and is designed to recreate the buttermilk paints of the 18th and 19th Century. 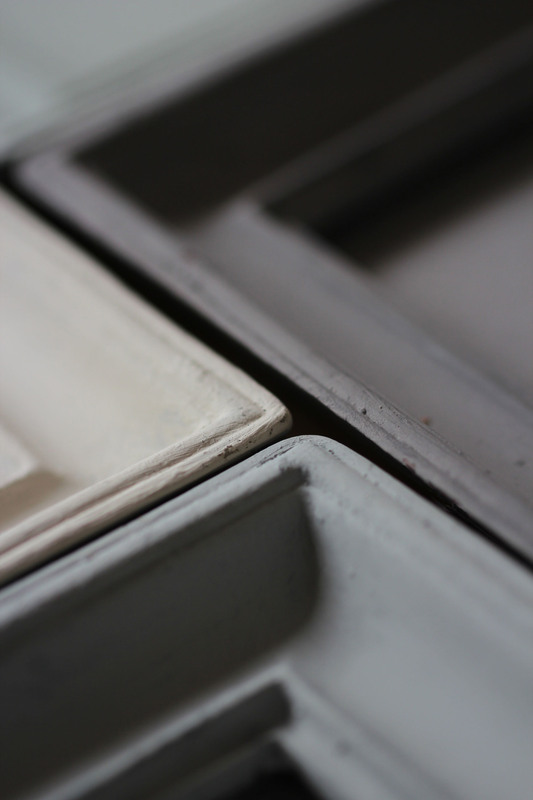 Nick and David originally worked with an antique restorer to get the right blend and finish. Inspired by an authentic Nordic-French colour palette, these wonderful paint colours are ideal for painting furniture (or mirrors, picture frames, or walls) And we should know – we have tried a lot of different brands over the years! 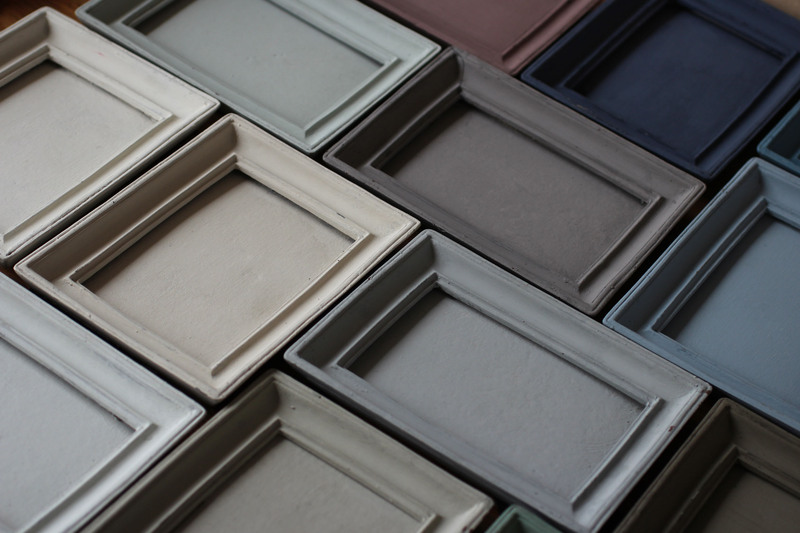 To give you more of an idea of the finish and differences in the colours, we have painted all the colours on to picture frames in the furniture shop, so you can get an exact idea of the finish….. and mix and match if you need to. Having been restoring, refinishing and repainting certain vintage furniture pieces as a business since 1999, it somehow seemed fitting that Grand Illusions have asked us to be the stockists for this part of SW London (their “old hunting ground”) Somewhat serendipitously as it turns out. They approached us, just as we were about to start stocking paint (by another brand) and the various consumables that go with it – i.e. brushes, wire wool, waxes etc. We will now be using Vintage Paint for all our painting projects in the shop from now on. We will be posting pictures of the finished results as and when we have finished them.